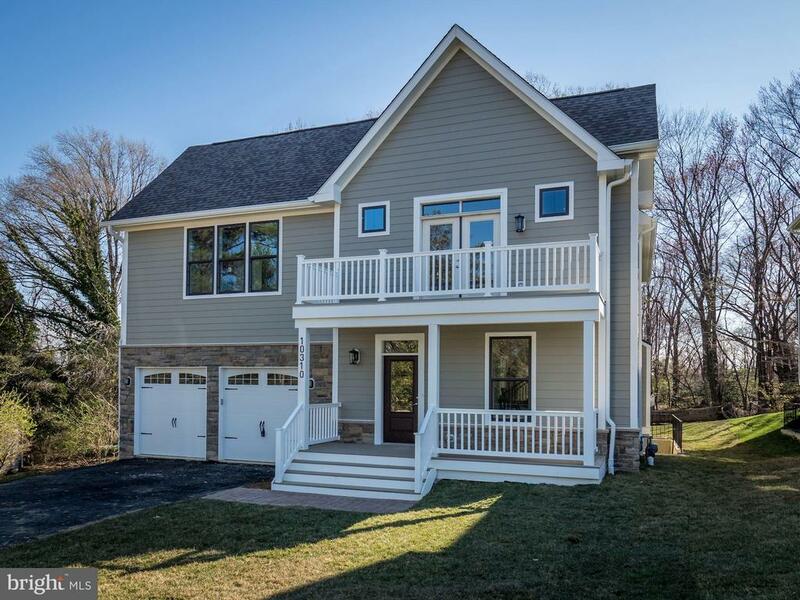 All Silver Spring homes currently listed for sale in Silver Spring as of 04/24/2019 are shown below. You can change the search criteria at any time by pressing the 'Change Search' button below. 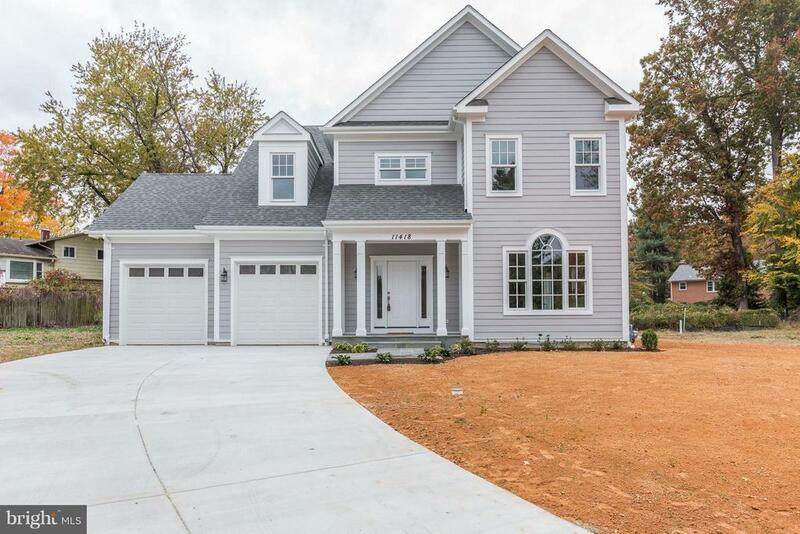 If you have any questions or you would like more information about any Silver Spring homes for sale or other Silver Spring real estate, please contact us and one of our knowledgeable Silver Spring REALTORS® would be pleased to assist you. "PRICE IMPROVED!! WELCOME HOME. A ONE OF A KIND RESIDENCE LOCATED ON 2.79 ACRES OF FENCED LAND IN DESIRABLE NORBECK KNOLLS LEAVES NOTHING TO BE DESIRED. 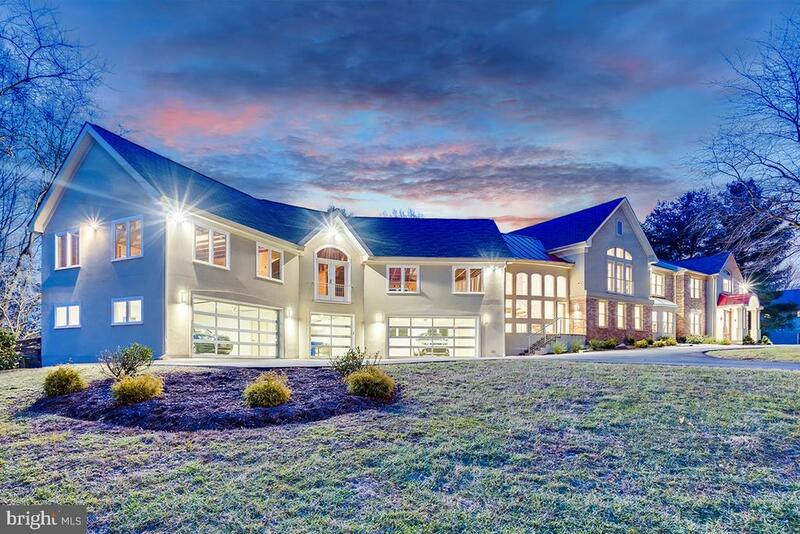 OVER 11K SQ FT OF HOUSE, BOASTS 7 FULL BEDROOMS, 7.5 BATHROOMS, 5 CAR GLASS DOOR GARAGE, SMART HOME TECHNOLOGY, SAUNA, SPA, HEATED MINERAL POOL, HOT TUB, CHEF'S KITCHEN, GEO THERMAL HVAC, LUXURIOUS MASTER SUITE, IMPORTED ITALIAN WOOD FLOORS, & SO MUCH MORE. LOCATED MINUTES FROM THE ICC, 2 METRO STATIONS, 3 GOLF COURSES, OLNEY SHOPS & RESTAURANTS, YOU CAN'T BE THE LOCATION. APPROX 2K SQ FT OF CUSTOMIZABLE SPACE AVAILABLE. THINK WINE ROOM, THEATER, MORE BEDROOMS, OR EVEN A SEPARATE INCOME PRODUCING RENTAL UNIT. ELEVATOR SHAFT FRAMED, WIRED, & READY TO GO. 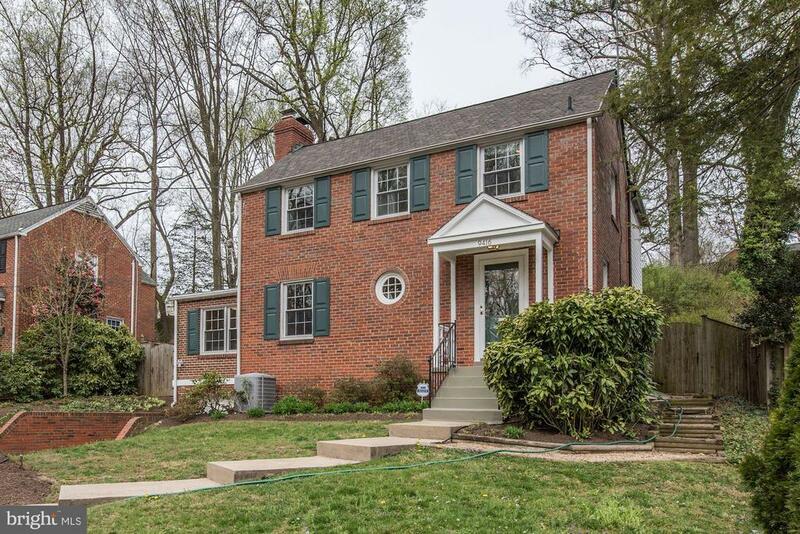 CLOSE PROXIMITY TO PRIVATE & MOCO SCHOOLS, SERENE NEIGHBORHOOD, WHAT MORE CAN YOU ASK FOR?! FURNISHINGS AVAILABLE UPON REQUEST. SET UP YOUR TOUR TODAY!" "Under construction! 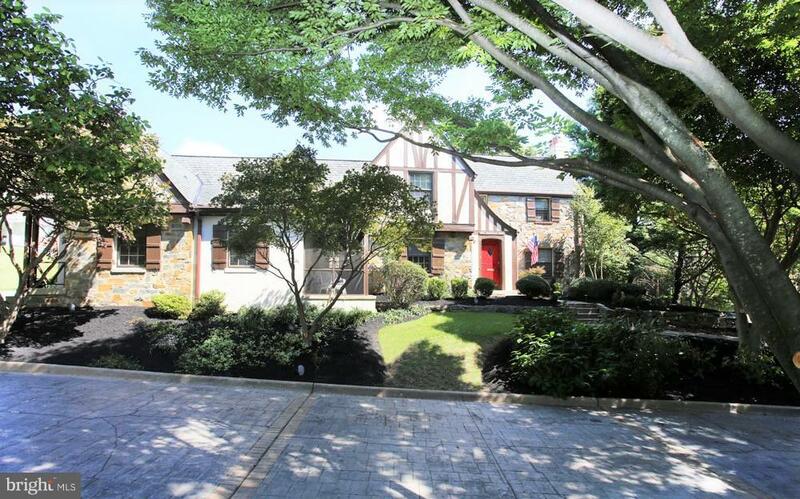 A custom Dutch colonial designed and built specifically for this lot and neighborhood. The first floor contains a formal living room, formal dining room and open concept kitchen with center island seating area and family room with with fireplace and breakfast nook. A main level den or guest room is serviced by a private full bath. The second floor has a master suite with large bath and walk in closet. The 2nd bedroom has an en-suite bath as well. Bedrooms 3 and 4 share a bath. The laundry room is centrally located on the second floor. The basement will have a bedroom and full bath along with large family/playroom. Truly a one of kind custom home! Hardi Plank siding and Boral trim for low maintenance long lasting exterior. Thermal slate front walkway and stone foundation accents. Upgraded trim/doors and finishes throughout. Custom cabinets and high-end appliances Wide plank hardwood flooring throughout the first and second floor. Bathrooms with custom tile design, heated floors, glass enclosures, upgraded finishes and fixtures. No builder grade materials anywhere in the house." "Welcome to the Chapel at historic National Park Seminary. Built in 1898 this extraordinary home was originally a church and later converted to a masterpiece. 32 original stain-glass windows have been restored. Gorgeous Brazilian hardwood floors and the central chandelier hangs from a 32 foot vaulted ceiling. The open kitchen has a 14-foot granite counter and stainless appliances. Three exterior porches and three assigned parking spots convey. Welcome to paradise." "Spectacular 4,007 Sq. 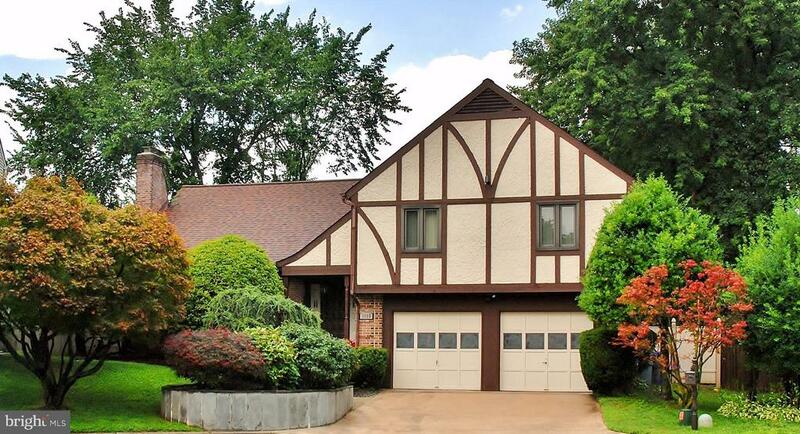 Foot Grand Tudor Home situated on private landscaped corner lot in the heart of downtown Silver Spring. Property offers tremendous flexibility as a single-family residence, as a home office setting, multi-generational living arrangements, or for rental income and investment. Month-to-month leases already in-place generating over $8,000K per month. 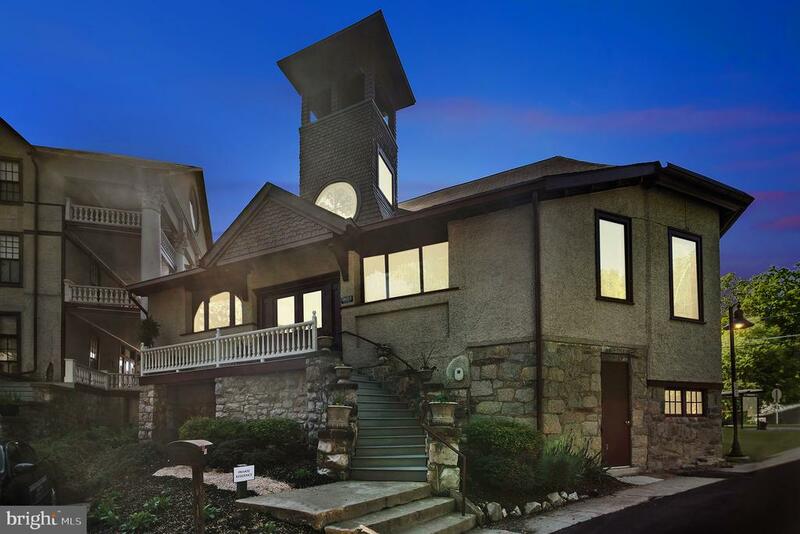 Six bedroom suites (separate in-law suite), ample parking for up to 12 vehicles in private circular drive, and close proximity to the beltway, downtown Silver Spring, Washington DC, and the Metro's Red Line." "A rare opportunity to own a piece of HISTORY! This stunning 3 BR 3.5 BA home has been completely renovated and historically preserved & will accommodate modern living & entertainment. Amenities include quartz countertops, gleaming wood floors, and stainless steel appliances. The Master Suite includes a fireplace, spa like bath and wet bar. Lower Level Makes for a perfect HOME OFFICE w/ separate entrance." "FIXER UPPER (3-6 BEDROOMS) OPPORTUNITIES: 1) move in residence as it is and improve over time. 2) R-60 zone residential business (nursing, dental, retirement, Airbnb, legal, religious etc). 3) Subdivide and develop, into 2-5 residential lots. It was 3 lots, before 2012. 4) flip. FEATURES: 1) lot 31,240 sf (.72 acre) lot. 2) 5,742 sf of living space on two levels. o 2,871 sf finished lower level. o 2,871 sf attic storage. 3) 3 BR/3 BA + 4 offices (convertible to bedrooms), waiting room, handicapped accessible half bath. o Two heating/cooling zones. 4) Ramp access from parking lot. 5) 10 parking spots (3 covered). 6)1.5 miles (23 min walk) to Metrorail." "This open modern home is uniquely styled and nestled in the heart of Springbrook Forest, a community with many upscale homes on one-acre sites. It has been modernized from top to bottom and is best described as a home with timeless design and appeal. As you explore each room you will discover features ranging from the dramatic to the most thoughtfully detailed, all meant to showcase why 313 Stonington is an amazing place to call home. Designer gourmet kitchen with large island and upscale appliances. Two-story Living/Great Room with large windows overlooking deck and wooded back yard. Swimming pool/hot tub combination with surrounding deck and outdoor kitchen area. Porcelain tile flooring throughout main and upper-levels. See accompanying brochures"
"Beautiful custom built homes tucked away in your own private oasis! A rare find - 2 homes sitting on a 40,000+ lot. Second home great for au-pair, in-laws, rental income, etc! Main house has tons of high end upgrades and updates throughout. Gourmet kitchen with stainless steel, custom cabinets, breakfast bar & much more. Marble floors and cherry hardwoods throughout. Sauna, home theater, fully finished walk-out basement, elevator shaft. Master bedroom suite with cathedral ceiling and exposed wood, private balcony. Walk-in closet, double vanities, soaking tub & much more! Tons of storage space throughout including a finished attic. Rear patio and tons of yard space, extensive hardscaping. Don't miss out!" 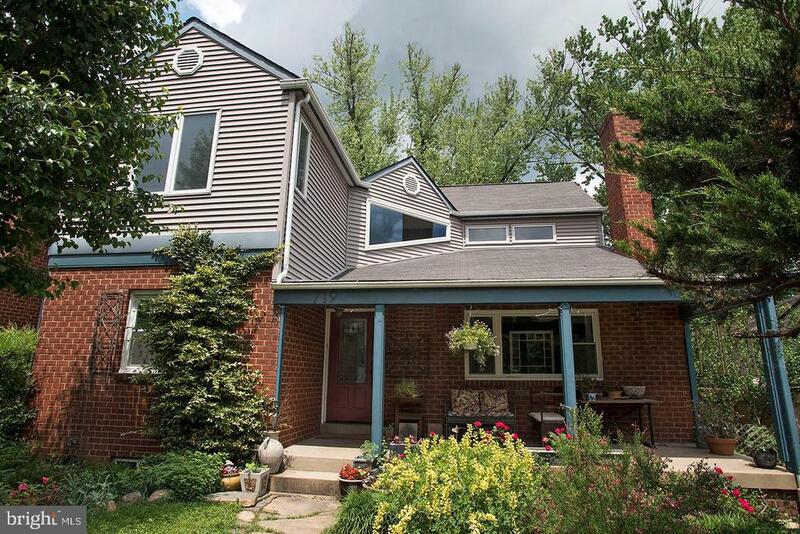 "Four Single Family Homes on 1 Acre of land in the heart of Silver Spring. 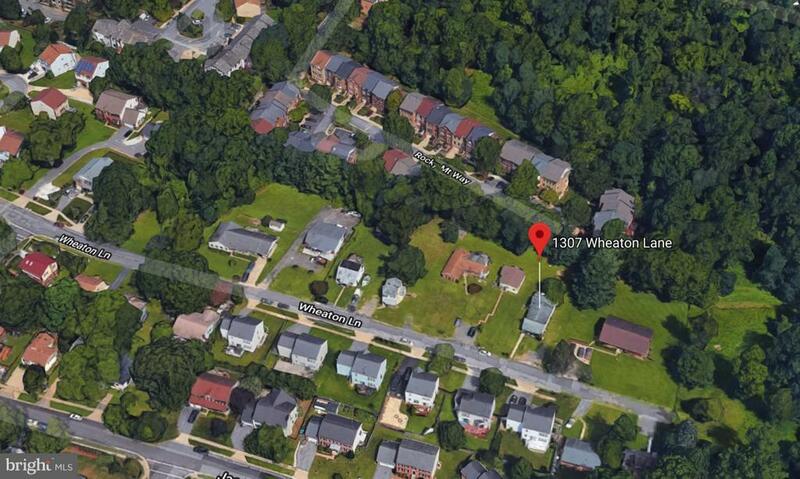 WHEATON!The properties were built in the 1930s, belongs to the Garey family. The land is zoned R60 and can be subdivided into at least five lots. This property is grandfathered in with a single Tax ID #The four detached homes have public water, public sewer, gas, and electric and are currently tenant occupied. SUBDIVISION POTENTIAL!! !HURRY WITH YOUR BUYER BEFORE I FIND THE INVESTOR!! !Across the street are contemporary high valued detached colonial homes. Behind are contemporary townhomes.DO THE MATH"
"4 Bedrm, 3.5 Bath Tudor-style home w/ 3700sqft of charm & character! 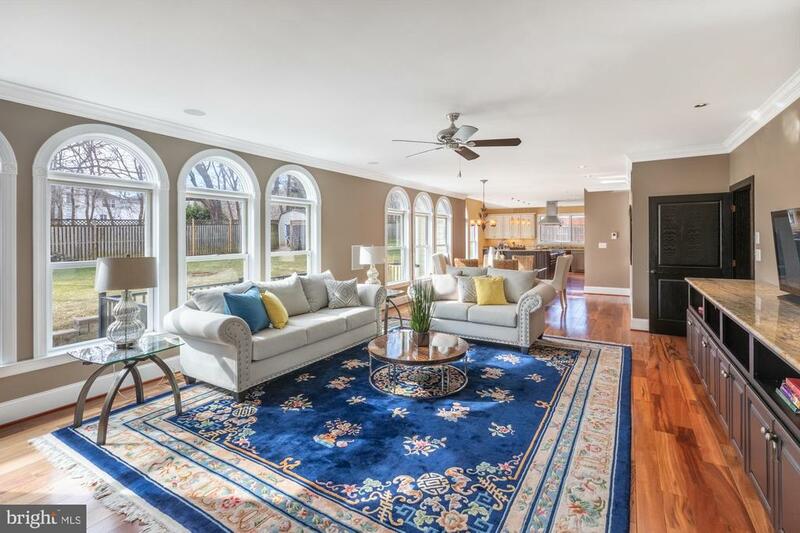 3 fireplaces, elegant formals, a flagstone sunroom, & an open concept kitchen & family room allows for easy living while the finished lower level rec rm w/ wet bar allows for easy entertaining! Upstairs, the huge master is with a sitting room, balcony, & luxury BA w/ whirlpool tub & separate shower." "Conveniently located, this very private custom built home tells the story of a very special lifestyle where you can gather, retreat or entertain. Features begin with a grand two story foyer with marble flooring and a sweeping curved staircase. Paired columns invite guests into the living and dining formals for special occasions and French doors open into an eat-in kitchen boasting exotic granite counters, stainless steel appliances and a generous walk-in pantry. Outside, a wrap-around deck overlooks a resort-like rear oasis with a glistening in-ground pool taking center stage. Surrounded by terraced garden walls, arbors, and play equipment, there is something here for every one of every age! Seamless indoor entertaining will flex and flow in the spacious lower level from the walk-out recreation room, game area and a theater room with risers. Pamper your overnight guests, Au-pair or In-laws with meal, a movie and a private bedroom and en-suite full bath. Retreat to the dreamy master suite for a soak in the jetted tub, and end your day reclined under a soft dome ceiling inside the round walls of the master bedroom. Come home and enjoy resort-styled luxury every day!" "A MUST SEE! ~ THIS BEAUTIFUL HOME FEATURES AN OPEN MAIN LEVEL FLOOR PLAN WITH HARDWOOD FLOORS THROUGHOUT, A FIRST FLOOR MASTER SUITE AND ACCOMPANYING GORGEOUS MASTER BATH ~ GOURMET KITCHEN WITH STAINLESS STEEL APPLIANCES ~ TWO STORY GREAT ROOM WITH GAS FIREPLACE ~ ELEGANT SPACIOUS LOWER LEVEL WITH TWO FIREPLACES ~ BEAUTIFUL GRANITE WET BAR, BUILT-INS ~ REAR ENTRANCE ~ BACK PRIVATE OASIS FEATURES STYLISH TREX DECK WITH AWNING, SCREENED PORCH, SCENIC POND WITH FIVE WATERFALLS - CLICK ON VIRTUAL TOUR ICON TO VIEW ENTIRE HOUSE FLOOR PLAN"
"LAST New Home, short walk to the growing FDA Campus 5BR 4.5Ba homes, a finished Bsmt, a Gourmet Kit and a 2 Car Garage. Custom finishes such as Vaulted Ceilings, Natural Stone surfaces & a front balcony. A Lg private backyard. TAXES ARE ESTIMATE"
"Meticulously maintained and updated throughout this expanded colonial boasts 4 bedrooms, 3.5 bathrooms. Large Master suite on upper level includes luxurious bath with, vaulted ceiling and custom built walk in closet. Large open living space has a gas fireplace and plenty of natural light. Many custom upgrades, hardwood floors, tankless hot-water heater, two zoned heating and cooling, heated towel racks and floors, recessed lighting, and crown molding. Gourmet kitchen with stainless steel appliances, gas stove and granite countertops. Beautifully landscaped with private patio, brick walkway and new concrete driveway that leads to detached garage. Separate entrance to basement with fully finished in-law suite. 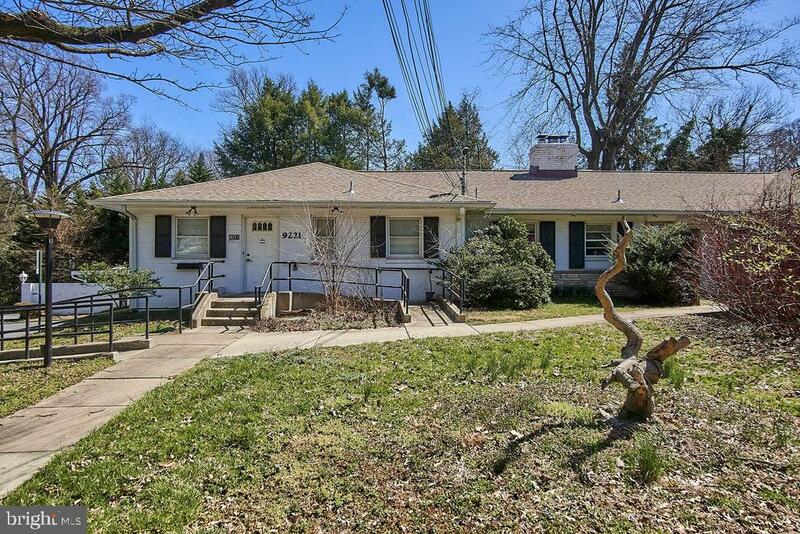 Great location near 495, and walking distance to downtown Silver Spring and metro. Open House Sunday 2- 4 PM." "Welcome home to this bright and spacious property, nestled on one of the best lots in the highly desirable golf community of Hampshire Greens. Contact the listing agent today to set up a time to explore your new home! Complete with upgrades galore such as a brand new roof (2019), water heater (2019), kitchen appliances (2018), countertops (2018), paint (2018), luxury flooring, etc. this home does not disappoint! Over 5,500 square feet of smartly finished areas allows for spacious living on all three levels. Enter into the stunning two story foyer and to your left you find an oversized home office with large bay windows. To your right you see the spacious living and dining rooms with tranquil wooded views from every window! Straight ahead lies the open kitchen and family room area. The kitchen is filled with natural light and counter/cabinet space galore! The substantial eat in space fits a large dining table and easily flows into the family room which is complete with 11' ceilings and floor to ceiling windows gazing out at your expansive lot. Come home, relax, and enjoy the serene views of the protected woodlands adjacent to your home. Your enormous, flat, grassy backyard is versatile and could easily fit a pool, or just relax and soak up the sun on one of the two already built hardscape patios. The possibilities are endless for the large, finished basement. Gym, game room, movie room, poker corner, in law suite, you can have it all! Without a doubt the best value in the neighborhood, so do not miss out on this stunning property as it will not last long! Offers due 5/8 by 12:00pm." 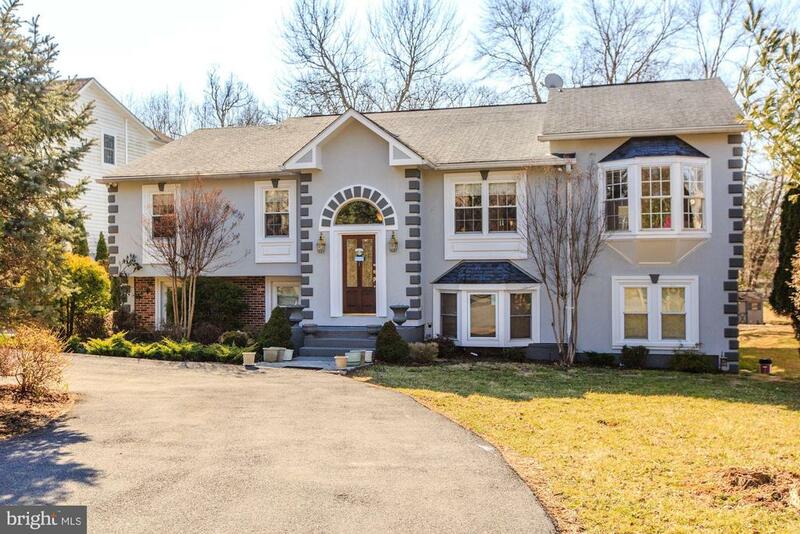 "Luxurious 5 br plus Den, 4.5 ba home in Poplar Run has 5,800 immaculate sq/ft and sits on a premium oversize lot across from open space. Inside you will find the gourmet kitchen with granite counters and large island, master suite with sitting room, two story family room with gas fireplace, theatre, gym, and dual staircases. Loaded with upgrades like hardwood floors, projector, rear deck, & plantation shutters. Fabulous community amenities including pool, playground, and open space!" 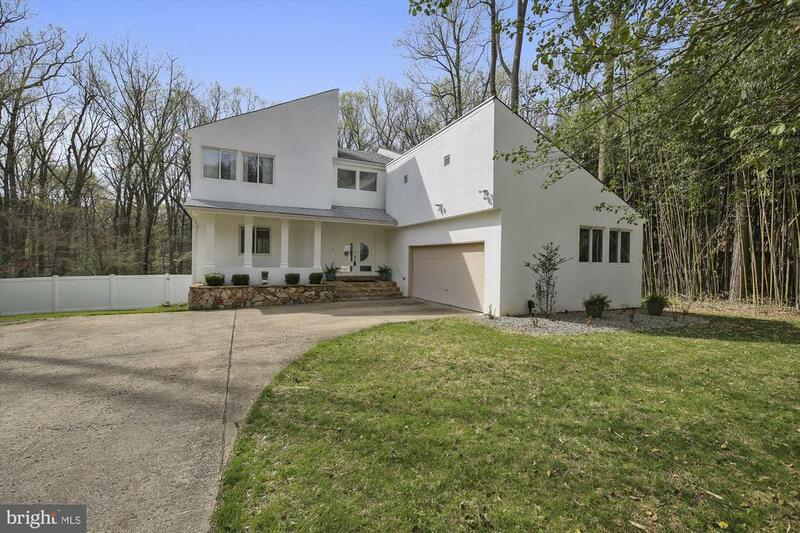 "BUILT 2007 THIS MASSIVE CONTEMPORARY COLONIAL AWAITS THOSE WANTING A DEAL IN A VERY COMPETITIVE MARKET. OVER 7,100 SQUARE FEET OF WELL DESIGNED LIVING & ENTERTAINING SPACE. DRAMATIC ENTRANCE WITH WOOD FLOORS, WIDE GRACIOUS STAIRCASE ALONG WITH A BACK STAIRCASE, PROFESSIONAL VIKING KITCHEN & PREPARATION GRANITE COUNTERED CENTER ISLE, SEPARATE FORMAL DINING & LIVING ROOM, FIRST FLOOR OFFICE & BREAKFAST/2ND DINING AREA. LOWER LEVEL HAS CINEMA ROOM, OPEN RECREATION ROOM 6TH BR. 5 BR'S EN-SUITE. RUSS SYSTEM ALLOWS CONTROLLED MUSIC THROUGHOUT." "Spectacular custom designed California Villa style light- filled home. Magnificent recent additions and complete renovations.Floor plans in photo gallery. Conveniently located near Rt. 200 and other major commuter roads. Shopping and schools. See the virtual 3D virtual tour to appreciate all the top- of- the line features. The majestic Great Room is truly breathtaking. It has large windows with blinds that open from the top and bottom, There's a custom fireplace that is a work of art with custom designer tile framing and moulding. Also, a powder room with gorgeous vanity, mirror and lights. There is a closet that is prepped for a washer and dryer. It has a wine cooler, Casablanca fan, steps to the downstairs, extensive specially designed moulding, recessed lighting and a large dining area with light fixture The expansive kitchen has custom crown moulding, designer granite countertops, elegant custom built cabinets with lights underneath. Breakfast bar with room for seating overlooking the Great Room and cabinets on both sides of the bar. You'll also find a double door refrigerator with freezer at the bottom,an electric stove with convection and regular oven, and a double sink with Kohler fixtures. Step down from the Great Room to french doors to the sunroom- featuring fan and windows on all sides overlooking the lovely landscaped backyard. Open the french doors to the wraparound deck with steps to the yard. The Master Bedroom is truly luxurious with it's bay window, sitting area, tray ceiling, recessed lights, crown moulding and trim, Casablanca fan with light, 2 closets and dressing area with 2 walk-in closets, The Master Bath is a serene retreat with a Jaccuzi tub, a picture window and another window, designer double vanities. mirror and lights, enclosed shower with 1/2 inch frameless enclosure, Kohler fixtures, designer lights and heat lamp, supplemental heating system. 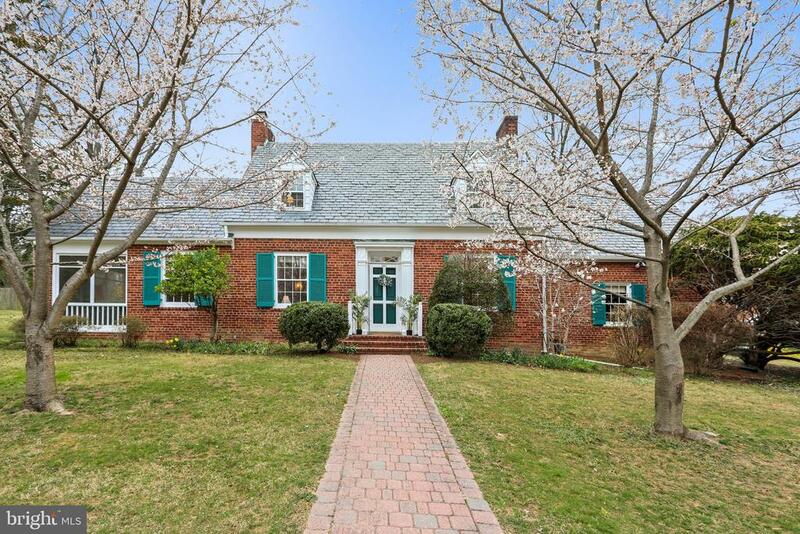 There is a sitting room in the front of the house with double windows, hardwood"
"This magnificent brick colonial home sits up high on the street in the North Hills neighborhood of Silver Spring. With alley access behind the house that leads to a two car, detached garage you'll never have to worry about parking! Park your car and the house is just steps away. With tons of natural light, big windows throughout frame the beautifully landscaped yard with koi pond and garden for entertaining." 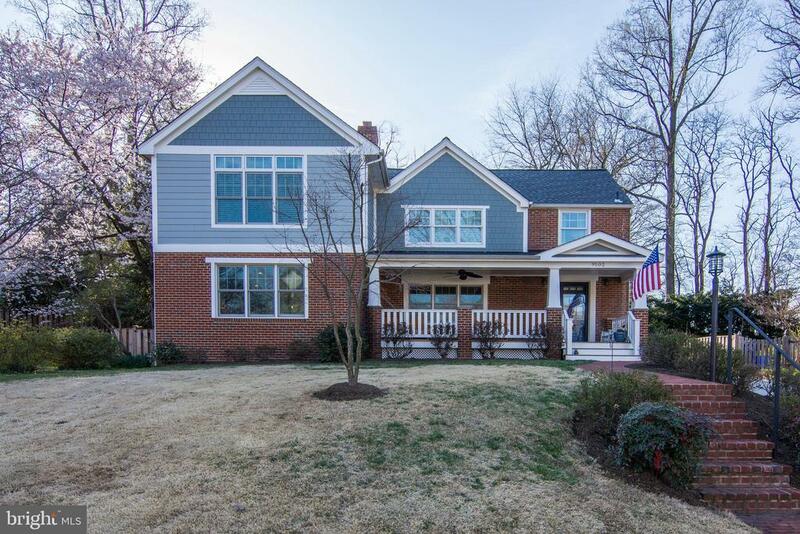 "A unique 4-bedroom/4-bathroom, renovated home with an impressive 2nd floor addition designed by Robert Reinhardt, located on a quiet street near downtown Silver Spring, Takoma Park and 2 metro stations. 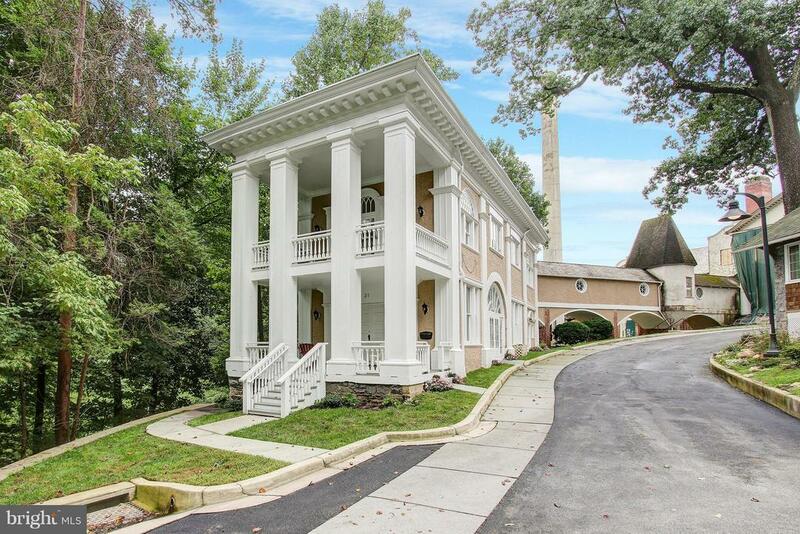 The broad front porch opens to a dramatic, 2-story foyer. Main level includes open living/dining room with working wood fireplace and picture window; 1 bedroom with custom built-ins; full bath; and 2 coat/storage closets. The renovated kitchen boasts a KitchenAid gas cook top with griddle/grill; KitchenAid wall oven with convection; a triple quartz sink; tall solid-wood cabinets with many custom features and plentiful storage. An adjoining family room has peninsula-bar seating plus a bay-window nook with built-in benches. The 2nd floor includes 3 bedrooms, an en suite master bath, a full bath, and access to additional attic storage. The spacious, sunlit master bedroom has 2 custom closets; a large walk-in and a second with ample space. The newly updated lower level has an open rec/TV area, a private room perfect for guests or for use as an office, A full bath with shower, a separate workshop/storage room, and a large laundry room with oversized Maytag washer/dryer and a second refrigerator complete the space. Exterior features include a driveway alongside a landscaped front yard; a vast, fenced backyard with pergola-covered deck, a brick patio with fire pit, and storage shed. 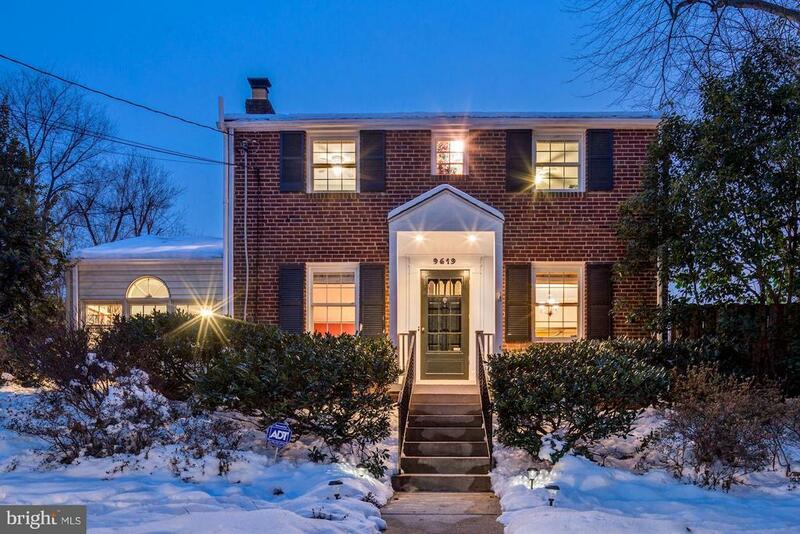 A must-see home with artistic flair in a cozy community near vibrant urban amenities and walking distance to K-8 schools, including Takoma Park Middle School, in the sought-after Montgomery Blair School Cluster. All offers considered COB April 23." "Beautiful colonial with 5 bedrooms and 3.5 bathrooms. Tons of improvements and home additions including bump out living room, master bedroom and bath (2015), updated kitchen and appliances (2018/19), and newer windows. Gorgeous living room with wood burning fireplace, separate dining area, and an expansive sitting room/office with access to the professionally landscaped yard. A finished lower level complete with guest bedroom and bathroom (2016). Walkable neighborhood to Woodside Deli, grocery stores, parks and and the Forest Glen and Silver Spring Metro. Welcome home!" 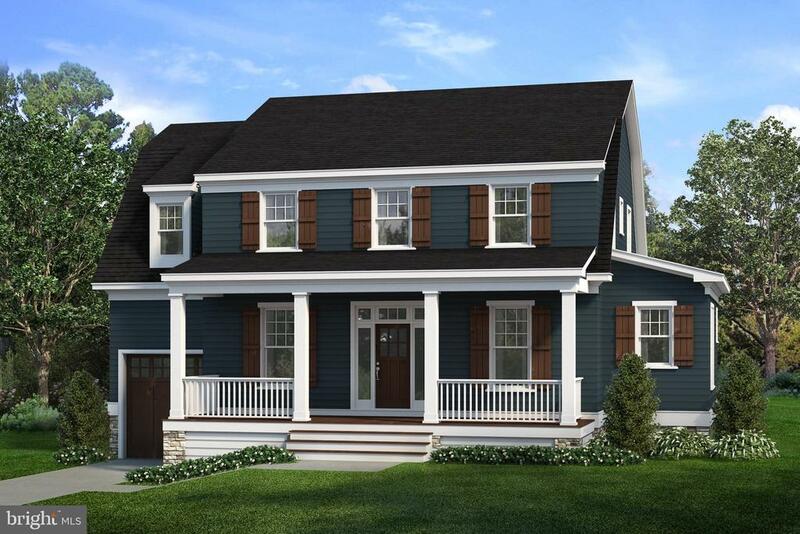 "Architecture award-winning Cape-Cod on huge corner lot in Woodside Park is move-in ready. Lovingly cared for, this 1937 house was built by an architect for himself and his family, and is offered for sale now by the second owners. The house was fully repainted inside and out in 2018. Three floors of living space offer living room, dining room, breakfast room, three bedrooms, nursery/study, three and a half baths, large recreational/family room in finished basement, plus screened side porch with overhead lamp and numerous electrical outlets. The house features recently refinished hardwood floors, two wood-burning fireplaces, slate roof, window seat, and many original brass fittings and plumbing fixtures such as large tub in master bath and a unique mailbox. Closets and built-in shelves and cabinets abound on all three levels, with additional storage space in attic. The nearly half-acre property provides mature trees, plenty of space for backyard fun, and spacious off-street parking. 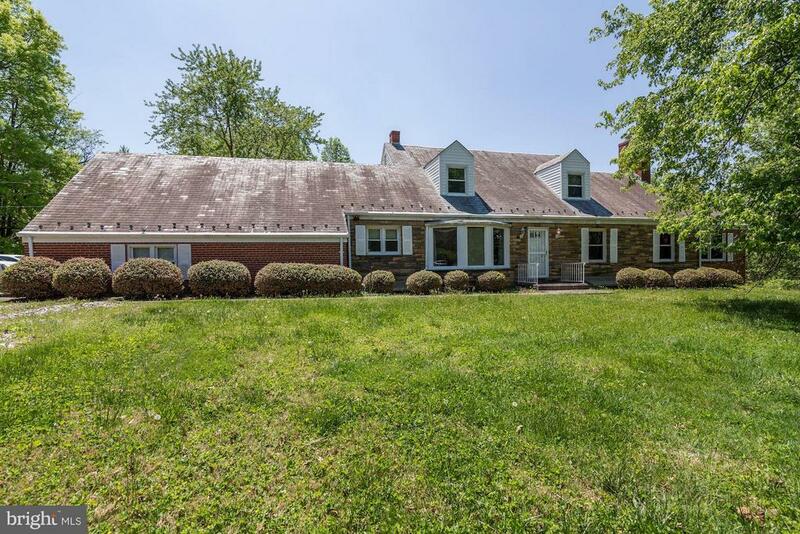 Close to schools, churches, theaters, and restaurants, and on the Montgomery County school bus route." "Nairn Farms - Last New Home! other lots Sold! 1/2 AC lot on a Private Road. Walk to METRO. 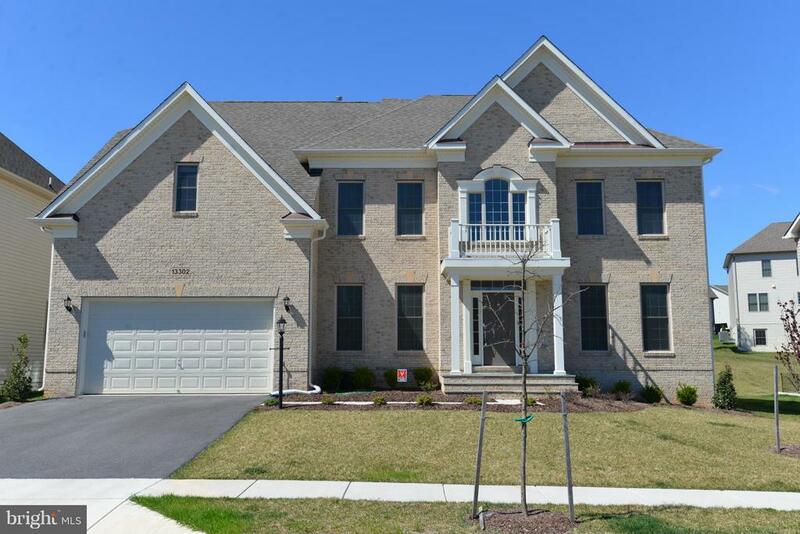 This Home has Immediate Delivery 5 BR 4.5 Baths, 2 car garage - modern open floor plan. beautiful wood floors, completely finished basement"
"Very large home on huge 6+ acres private lot surrounded by mature tree. 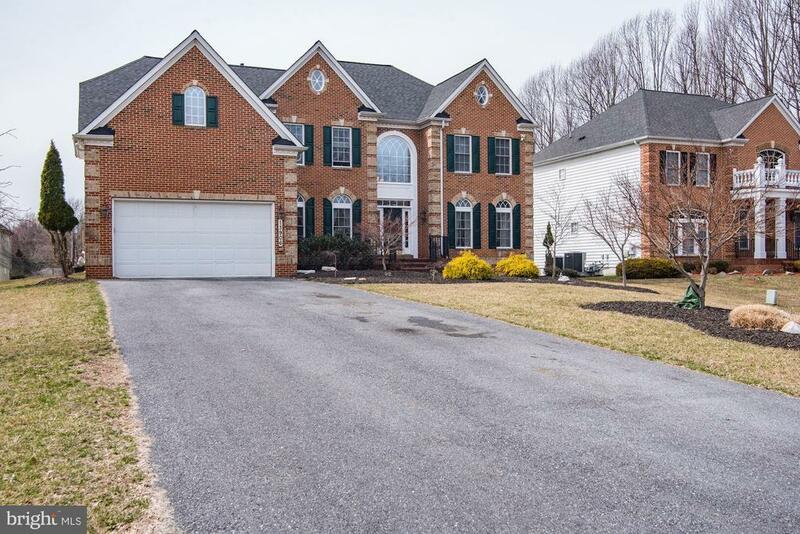 The home features 5 BR, 3.5 BA, formal Dining room, Living room, Sitting room, Family room, Recreation room, hardwood floors, walk-out finished lower level, two car Garage and circular driveway. 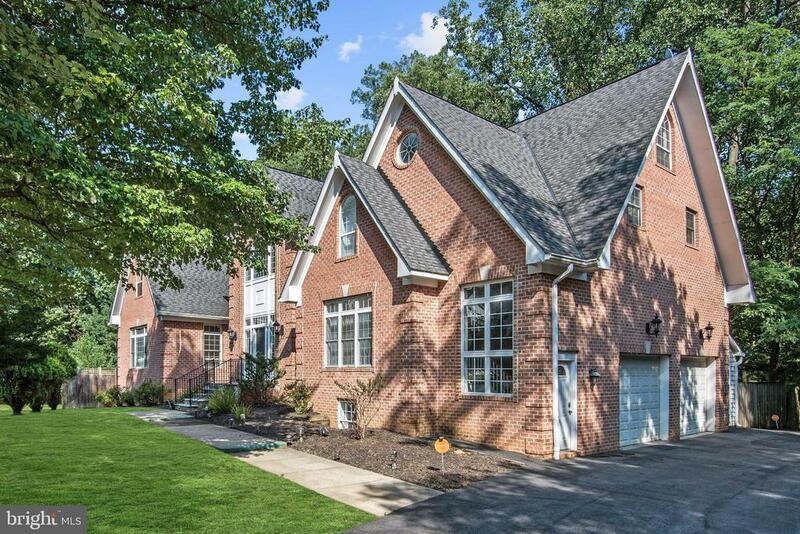 Located close to FDA HQ, UMD,quick commute to DC.City convenience combine with country living."